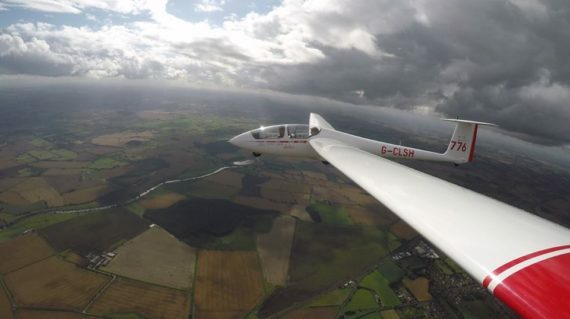 Volunteers are what makes gliding a cheap way to learn to fly with most people going solo in under 12 months for around £1,0001 – similar to the cost of learning to drive a car. Pete Stratten, Chief Executive Officer of the British Gliding Association, said: “Volunteers have always played a vital part in gliding. Hundreds of events are taking place across the country to mark Volunteers’ Week. The annual campaign recognises the contribution volunteers make to our communities every day. For gliding clubs the event will be a chance to showcase the range of volunteering opportunities on offer, encourage people to try volunteering for the first time and help people find out how through volunteering they can make a difference to a sport or community they are passionate about. People’s reasons for volunteering vary from person to person. Some common reasons include a love of gliding, the chance to learn new skills, health benefits of being out on an airfield, the opportunity to socialise and use their professional skills to help their club, supporting something their children are involved in or quite simply for the buzz and excitement. You can find out more about the many volunteer roles at UK gliding clubs by watching the latest videos on Glide Britain’s YouTube channel.